It's time for Lollapalooza - a.k.a Chicago's greatest get-together! We have showed you our favorite festival trends, and now it's finally time to actually attend! With the long weekend ahead, there are many essentials that one must have to be prepared for anything and everything. Rain or shine, mid-rave or lawn chair, we have got you covered with our Lolla must-haves to ensure you have the most epic weekend ever. 1. Festival Backpack - Backpacks, like this one, are designed with crowds in mind. With the hidden back zipper, you can be assured that nothing will be stolen or fall out of your bag while remaining hands-free for plenty of dancing! 2. Hair Ties - Obviously! They're a necessity for life. When the sun starts beaming or you get all sweaty from grooving, there's nothing better than getting that heat-trapping hair out of your face. Keep these guys on hand and you'll be comfy all weekend. 3. Sun-protective Lip Balm - Keeping your lips hydrated and protected from those vicious UV rays is ALWAYS a good idea when you're in the sun for the entire weekend. 5. Phone Protection - With rain on the forecast and dirt being a never-ending festival battle, it never hurts to protect your delicate belongings. This bubble shield is a great option to keep water from killing your phone. For those of us who are on a budget, a plastic baggie works just as well. 6. Water Bottle - Don't forget your durable water bottle. Take advantage of Lollapalooza's complimentary water filling stations and save money by bringing your own drinkware. 7. Packable Parka - A packable parka will surely come in handy in case of drizzles. 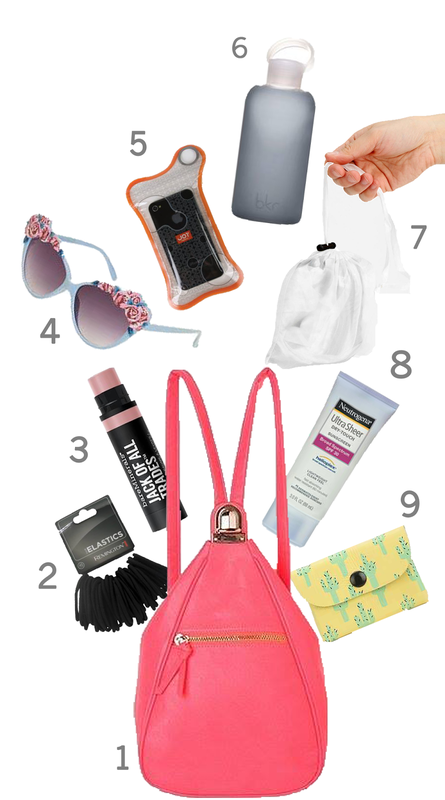 At a rain or shine event like Lolla, you must be prepared for anything! Running around in wet clothes all day is never fun. 8. Sunscreen - Always protect your body. Need we say more? 9. Card Pouch - Carry your money, ID, and cards in one secure wallet to be sure it doesn't get lost. Register for Lolla Cashless to eliminate pulling out your emergency cash and for easy checkout for food and drinks. 10. 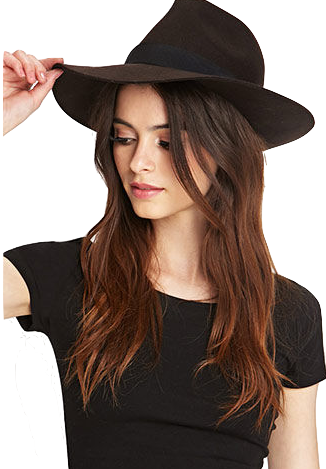 Floppy Hat - Keep the sun off your scalp and out of your face. The extra coverage will keep you cool and help you stay hydrated. 11. 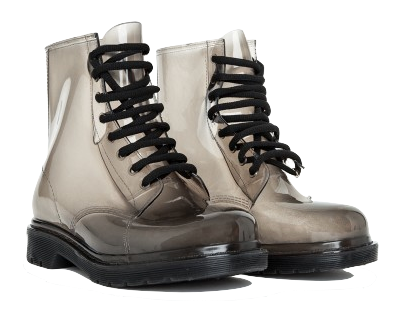 Weatherproof Shoes - Closed toe shoes will make for happy feet. Not only will you avoid getting stepped on, your feet will also stay clean, dry, and comfortable for an entire weekend of walking and dancing on a variety of surfaces. With your bag packed and your body protected, you're sure to have a great time this weekend. Our advice? See as many acts as possible and enjoy every minute! Smartly and safely, of course. Happy Lollapalooza! To be bohemian means living life freely...Taking the road less traveled... Embracing one's exotic nature and SO much more. This lifestyle has become quite the trending item, especially with the popular growth of festival style. 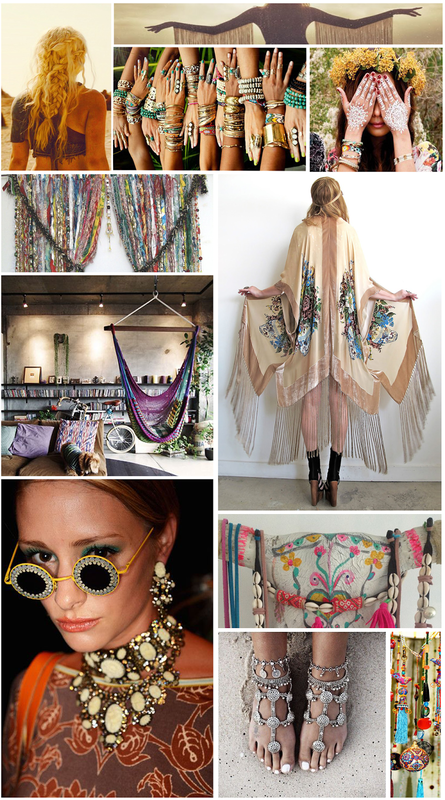 With Lollapalooza just around the corner, we could not help but to be totally inspired by these bohemian beauties. Take a peak and get some amazing ideas for this weekend's festivities. Happy Hump Day to all you beautiful souls. Live freely, embrace creativity, and have an amazing festival weekend! You normally wear them with a pair of high-waisted shorts and some gladiator sandals to festivals or running around town in the summer heat. Try wearing them over a blouse or tee shirt. 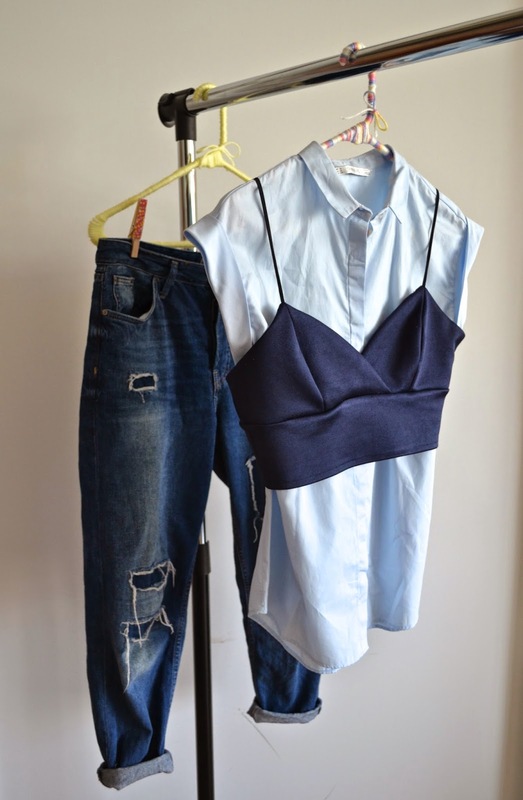 When paired with a boyfriend jean and a great strappy heel, this layered look can create a beautiful mash-up up of masculinity and femininity. Wear it to a casual cocktail party or even out on a date! Your bralet just went from a cool and skimpy summer piece to a polished and put together show-stopper. You'll even be able to take it into fall! You normally wear them on their own with polished heels and a felt hat for lunch dates and concerts in the park. Try wearing them open with a basic tee underneath. Add a slouchy leather short and some sneakers, and your look instantly becomes more relaxed. You are now ready to take on the entire mall with your girls or even have some fun at an amusement park. 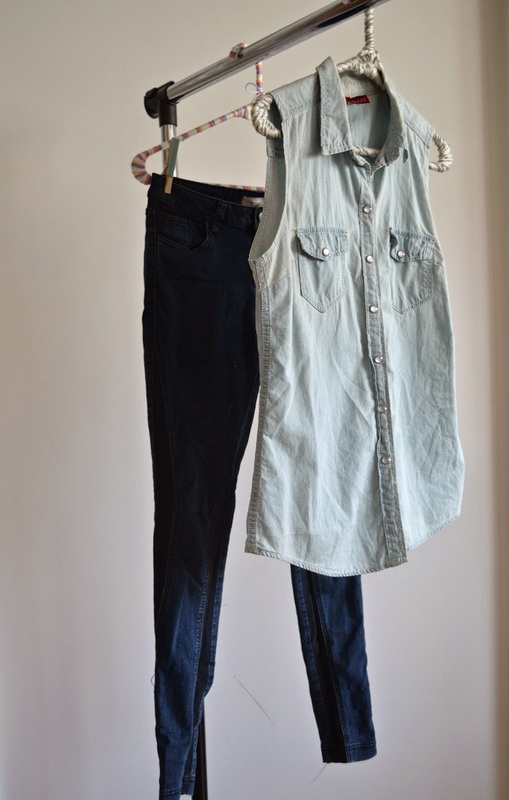 Your new-found vest is a great piece for summertime adventures and can be introduced to your fall wardrobe as well! Versatility is amazing, isn't it?! You normally wear them with a basic tank and sandals for an easy breezy summer look. Try wearing them under dresses that contain similar colors. 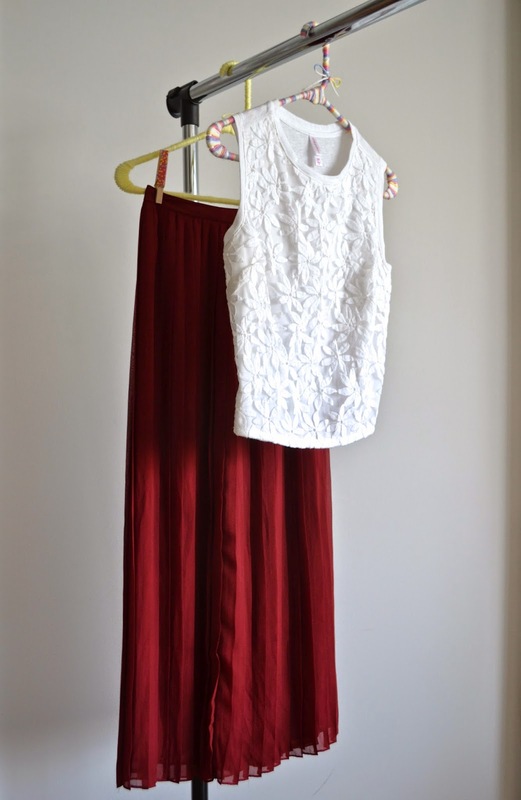 Peeping pleats are a HUGE trend for fall! Your accordion pleat maxi will look amazing under a boxy tunic, maintaining the original relaxed feel while adding a bit of edge. Wear this combo to a day party... you'll be sure to stand out. You normally wear them with contrasting denim and a bootie to class. Try wearing them with a bralet and a midi skirt. Your d'orsay pumps will make this look brunch-ready in no time! 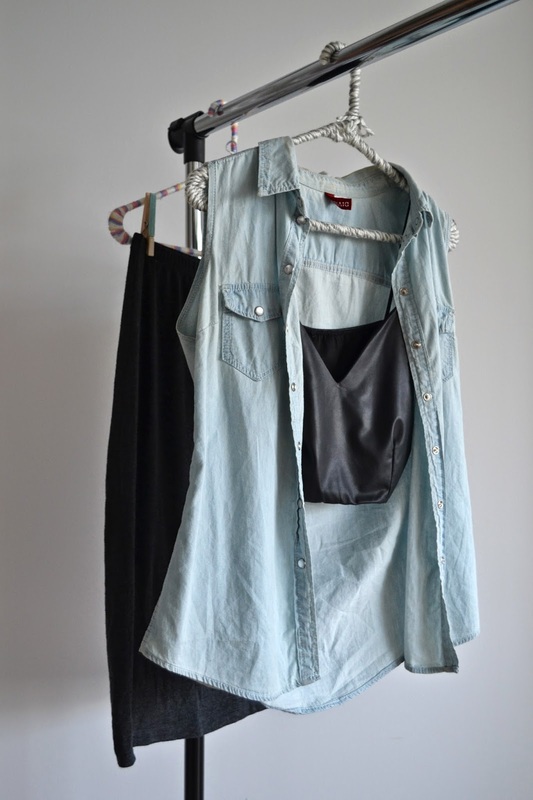 If you're into the skirt, but want to make the look more casual, try tying the front of your chambray vest and replacing your pumps with converse for an all-American feel. You normally wear them with your suit and sliders to the beach or pool. 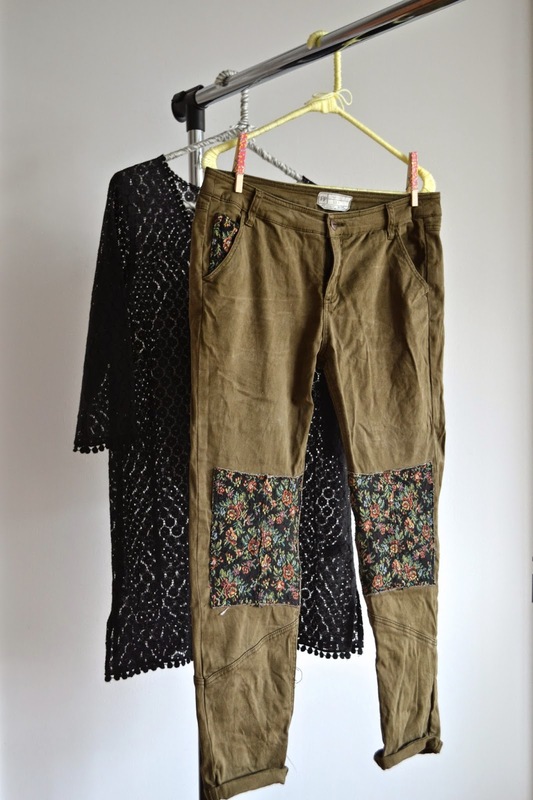 Try wearing them layered over a crop top and pants for an instant cool. The sheer element of your cover-up goes from functional to fashionable with just a little bit of convincing. Add a funky slip-on shoe and your bohemian self is ready for a daytime movie date or running errands. Are your bank accounts thanking you yet? 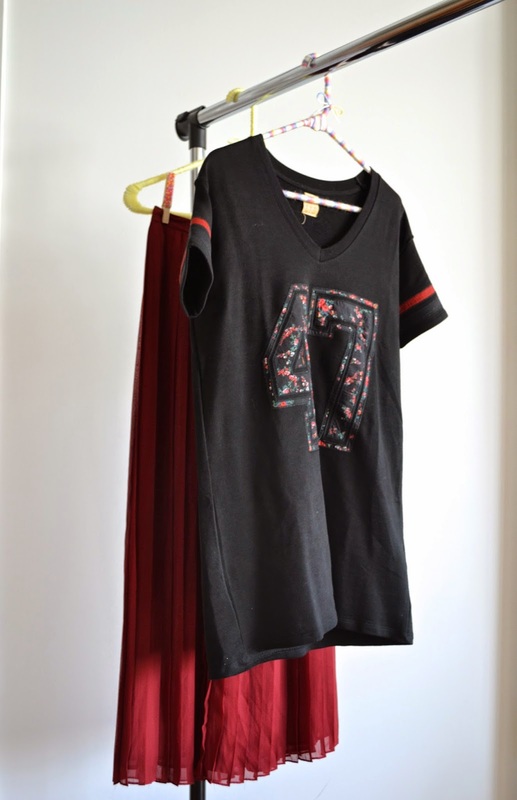 Try out these tips and tricks to create versatility for even the trickiest of pieces in your closet. Get creative, try things together that you'd never expect to work, and trust your aesthetic eye! We are taking some time on this lovely summer Monday to give a shout out to one of our favorite sources of inspiration. Refinery29 is one of our go-to blog for everything and anything, and they just so happened to publish the most adorable post - "BFF Style: When A Friend Is Your Best Accessory". Check out these unstoppable pairings! It's true that we're always on the hunt for stylish stars around the city (and otherwise)... And that we're so thrilled when we find a fellow fashionista whose personal style shines through in all that they do. 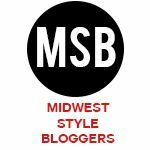 This month we're especially ecstatic to be featuring a fellow blogger as said style star. Meet Simedar Jackson, the bold woman behind Maison Noire. Simedar started Maison Noire because she has a passion for writing and fashion along with a strong voice that speaks for so many different women. Check out what she's doing and what she stands for by reading on. I think the best words to describe my style is edgy and urban. I love haute couture, but I’m more drawn to the brazen style of everyday wear when I get dressed in the morning. I’m also really tall, so I tend to get stares... I’ve taken that as an incentive to turn heads with my clothing choices. I’m the girl who wears a big faux fur coat to class or a white leather shift dress, just because. Wow! It’s evolved so much! I’ve always been in love with clothes and fashion but it wasn’t until my sophomore year in high school that I was actually keeping up with the industry. Before that I just wore whatever I thought was cute (i.e lots and lots of Baby Phat). Now I’d like to think I’m more polished but still very much street style. Where do you like to shop and why? I like to shop at NASTYGAL and Topshop because they always have pieces that keep up with the fashion world in real time - if not already ahead. Most mainstream stores tend to stock pieces that are currently trendy, but I like to be the one who wears something before it’s popular and tries out new trends. 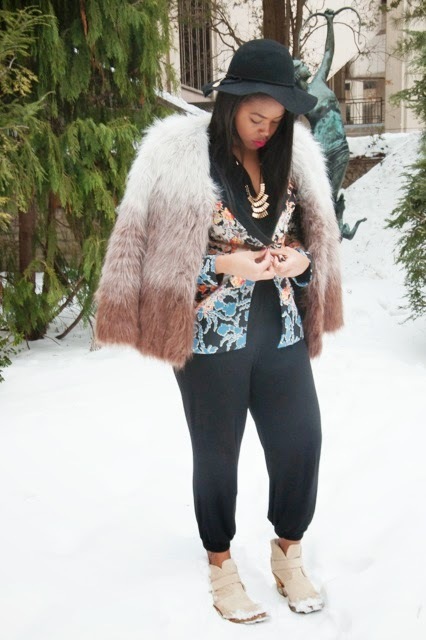 Plus size bloggers are my biggest inspiration. They constantly remind me that beauty comes in all shapes and sizes and make me feel beautiful despite the fact I’m not the size most people see in the fashion world and on fashion blogs. My favorite bloggers are Nadia Aboulhosn and GabiFresh. I also love Rihanna’s style because she clearly gives zero f**ks! 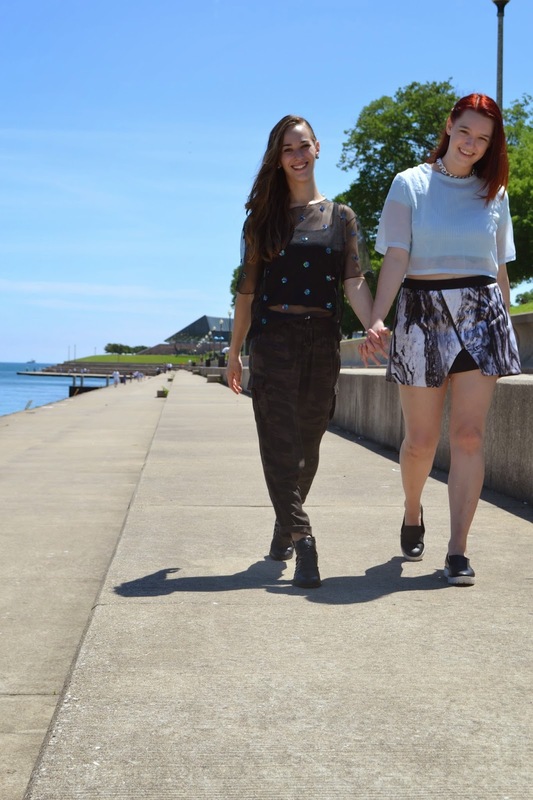 What drove you to want to share your personal style with others through your blog? My first reason for wanting to share my personal style is empowerment. I am part of certain cohorts that are severely under-represented and shamed in society (black women, curvy women and tall women). Following certain blogs featuring women that looked like me gave me the power to be confident in the midst of critics/hate, and I want to be one of those inspiring women for other girls out there who are still struggling with their confidence and identity. On top of that, I see fashion as a vehicle to express yourself and simultaneously inspire others. If I can inspire the people that read my blog by just being myself, whether it is to feel comfortable in their own skin or to wear that one outfit they never thought they could pull off, then I feel accomplished. What are three tips you would give about establishing a personal style? Tip one: Be true to yourself. The media will try to tell you what to do and what not to do in terms of fashion, but you should always do what feels and looks right to you. Tip two: Be confident! When you wear certain things people will ask questions and many won’t understand, but if you wear what you want with confidence their confusion often turns to wonder. I always get knocked when I wear heels because I’m 5’11” but I still have a closet full of pumps! Tip three: Be inspired. 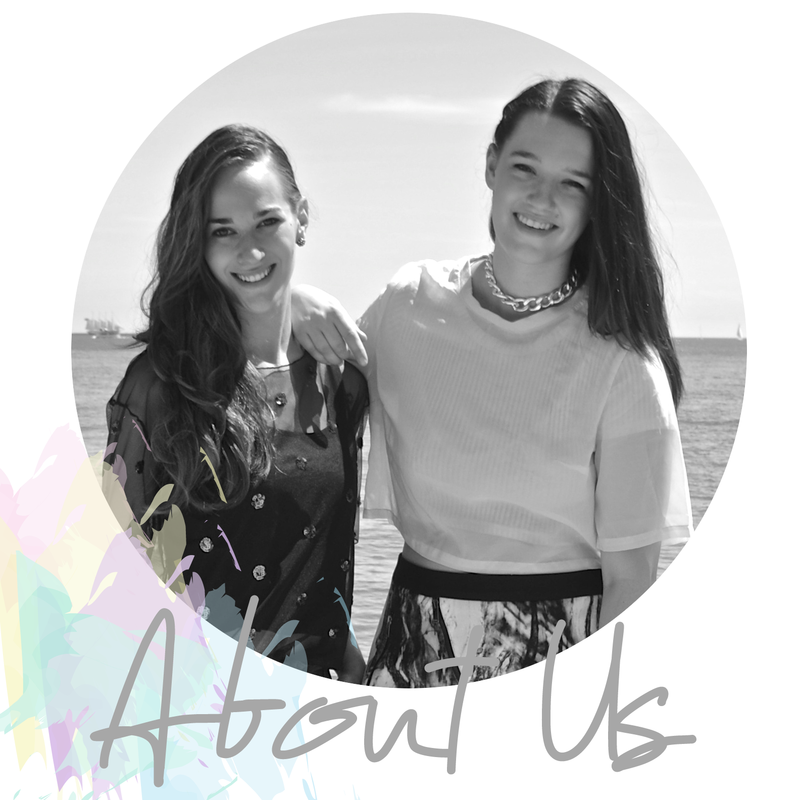 Check out other blogs, read fashion magazines, make a mood board! I find that surrounding myself with things that are aesthetically pleasing - either in my room or via social media - makes loving fashion and style that much more fulfilling. 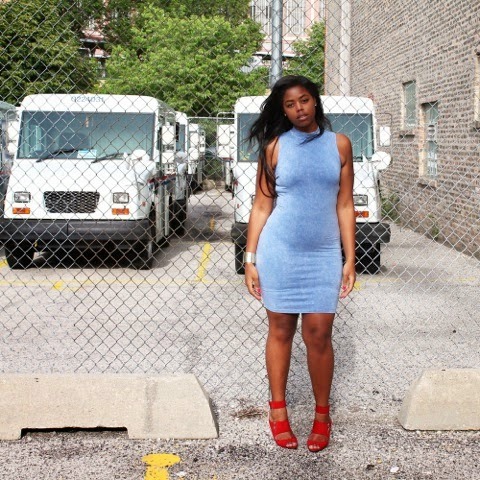 To keep up with Simmi's empowering fashion mantras, follower her on Twitter and Instagram. Don't forget to check back at Maison Noire for her frequent personal style posts. 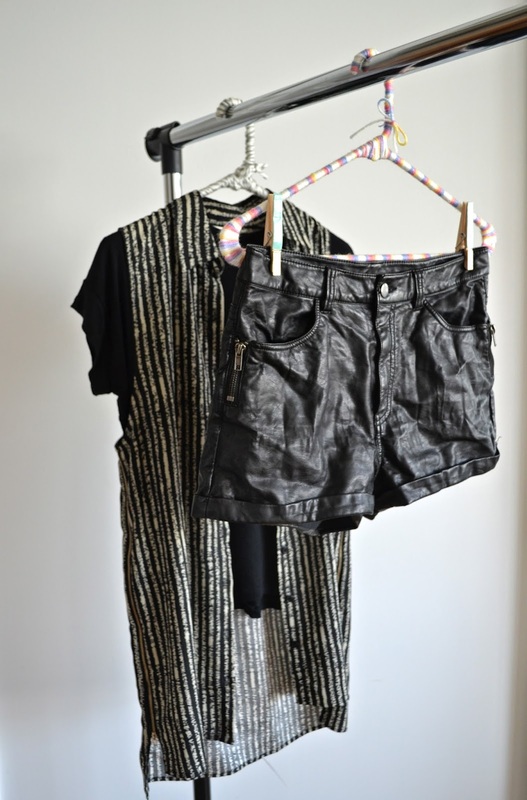 Her most recent post on Festival Inspiration is definitely a must-read! Since she works via tumblr, you can easily follow her so you won't miss a beat. Remember when we told you just how important keeping your closet beautiful is to your wardrobe? Today we're sharing a great way to liven up your sanctuary in just a few easy steps. There are (surprisingly) so many ways out there in which you can personalize your hangers, and this beautiful yarn wrapping technique is one of them! The best part is, it's super inexpensive. For about $4 per skein of yarn, you can create plenty of crazy colorful hangers on which your clothes can live. 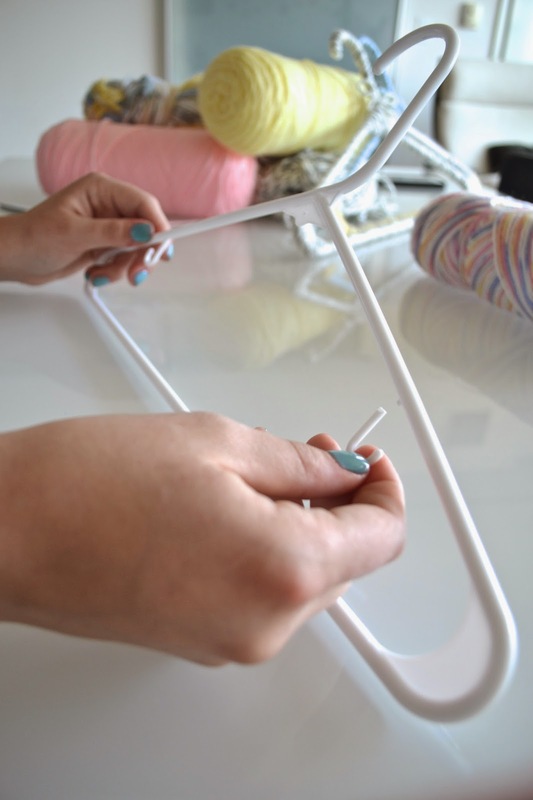 Step one: Break the little hooks off the hanger (if you're using plastic hangers). Step two: Tie the yarn in a knot around the neck of the hanger. Step three: Start wrapping around the body of the hanger. Be sure to cover the excess string and knot. Continue down and around the hanger. Be sure to hold the yarn tight around the hanger as you are wrapping and try to not let excess string escape the ball of yarn. Avoid those nasty knots! Step four: When you've gone around the entire bottom triangle of the hanger, wrap up the neck to the top of the hanger hook. Again, be sure the loops are tight around the plastic to avoid slipping. Step five: Wrap back down the hanger hook, and tie a knot at the neck of the hanger. Cut the sting with about 4 inches left to knot around the neck. Step six: Take an extra piece of yarn and create a bow to hide the knot (and, of course, for extra flair). You're ready to hang your clothes! Try different yarn textures and colors. The possibilities are endless! This is a craft you can really make all your own by mixing sting and having some fun! Take a look around you. Notice all the different objects and their unique textures - that's what makes them so beautiful! Artists and designers have always been inspired by all the unique senses to the touch that make up this planet... From flowers to wooden doors, from dresses made of yarn to leather shoes and so much more! Texture is a common inspiration (between the two of us, especially!) It can take a fashion look from plain to playful in a second. 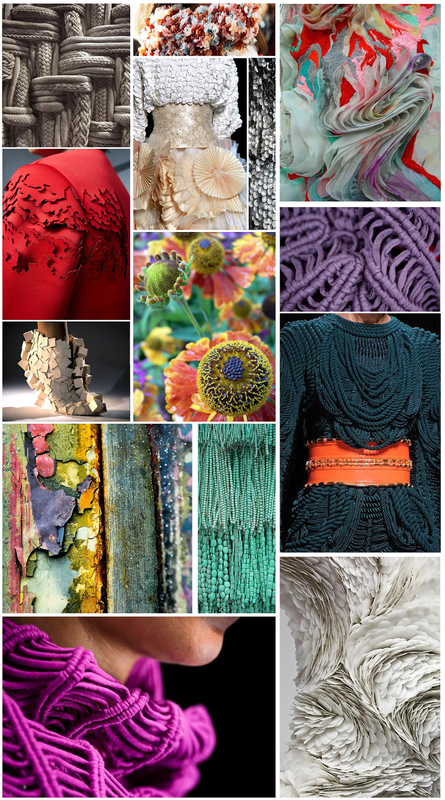 Let's zoom in on some textured pieces, get inspired, and see what they are really made of. We hope this was as inspiring for you as it was for us! Have some fun and mix up the textures in your closet and your home. Get your creative energy flowing and play around! Happy Hump Day! As you all know, we love going local. 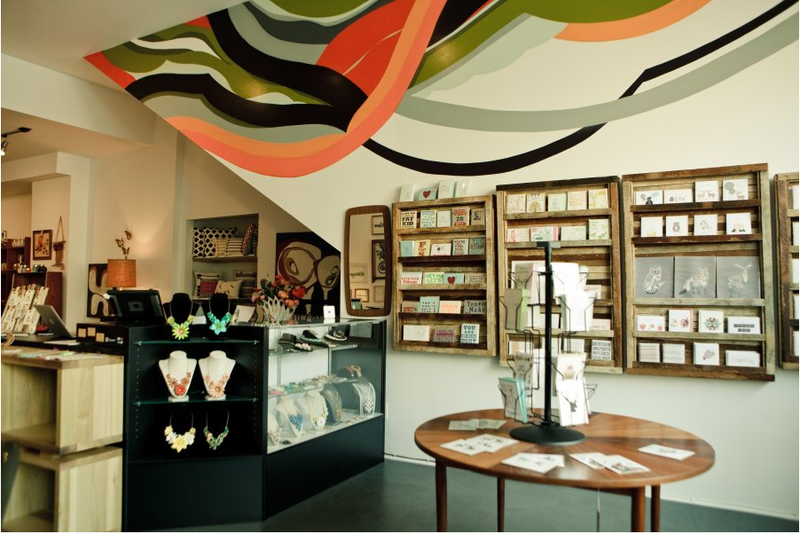 Aside from just supporting local designers and artisans, there is nothing better than discovering a new local boutique. Throughout our many shopping adventures, we have accumulated quite a variety of favorite shops. These five must-visit boutiques top our list, as they have provided us with more than just happy closets; they inspire us every time we enter the doors. Local treasures like these are one-of-a-kind and offer experiences that you can't find anywhere else. Check them out and be sure to pay them a visit on one of these fine summer days! 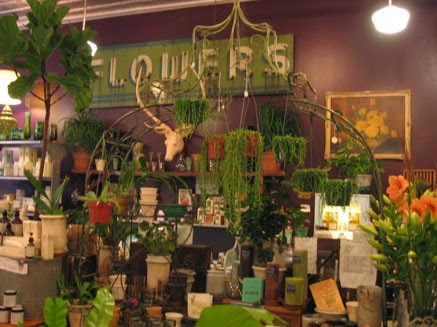 Located in the heart of Wicker Park, this garden shop is so much more than just a floral destination. Asrai Garden is filled with vintage, organic, and edgy aesthetics capable of inspiring anyone who walks in the door. From floral masterpieces to beautiful hand made jewelry, from scented candles to crystals and more, this beautiful destination is worth paying a visit to. The women of this shop are true floral artists. We had the pleasure of working with them for our home post not too long ago. Check it out! Modern Cooperative specializes in carrying 'carefully-curated' modern furniture collections and home decor. One should also visit Modern Co-op for their exceptional variety of local artisan work. They support artists whose work involves recycled and reclaimed goods and materials - like our favorite, Mineralogy. Eskell's website quotes, "Individual style is the statement you get to make to the world about who you are." We think that makes it clear as to why we love this adorable boutique. Eskell is a great shop for unique items, ranging form clothing and beautiful locally-made jewelry, to crystals and current books. 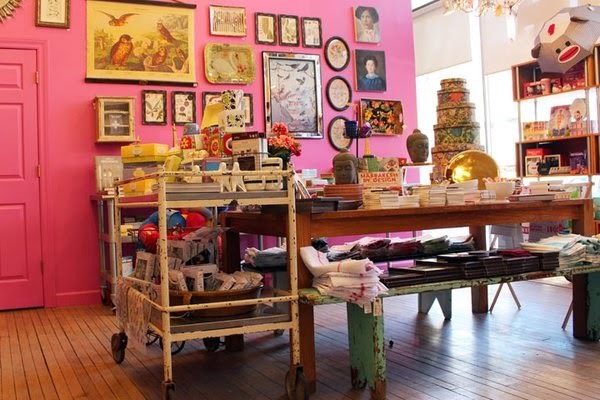 Located on the Armitage shopping stretch, The Art Effect is truly the best place to stop when one is in need of the perfect gift. This shop is filled with adorable trinkets, beautiful jewelry, stationary, home goods, clothing... you name it, you can find it here. The collections are whimsical, playful, special, and unique. 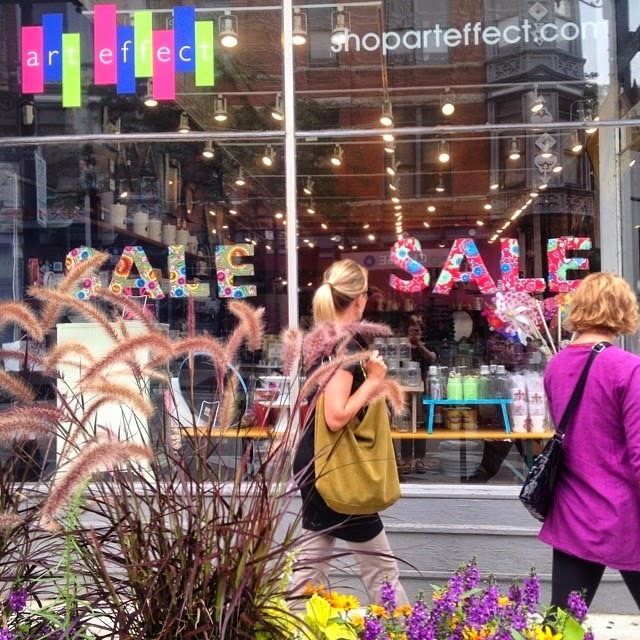 You're always in good company when this inviting Lincoln Park store. RSVP may be the coolest place you could shop in Chicago. The space is so urban and the clothes are of such great quality - not much can compare. RSVP is a collective of the industry's top designers. We are talking Hood By Air, Phillip Lim, Acne, Band of Outsiders, Alexander McQueen - to name a few. It's an amazing place to check out if you're into streetwear pieces. 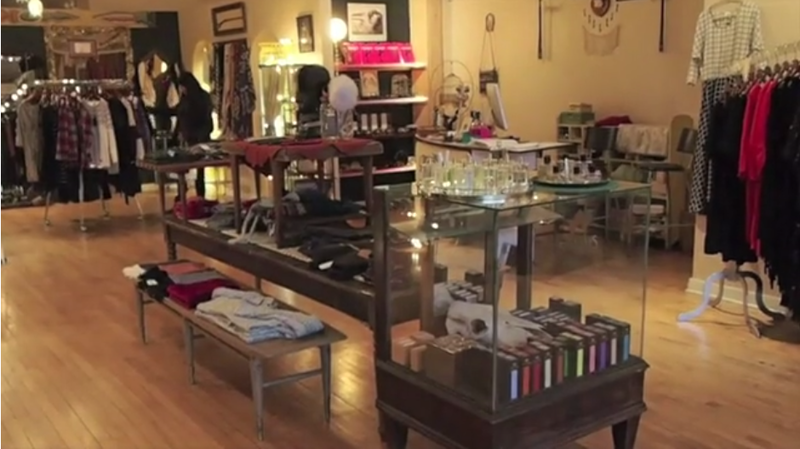 What are you favorite Chicago boutiques? Share on our Twitter chat with the #PSTYBoutiques.